Jana Stransky has been a Skin Cancer survivor for the past 20 years. Stransky said it all began when she had a small leisure on her nose that wouldn't go away, something she never imagined would end up being skin cancer. "I had a small scab on my nose that would come off and then it would bleed and it would just continue doing that and I would go to the doctor's mention it, and for six years they didn't think it was anything," Stransky said. Stransky had surgery to remove the skin cancer on her nose, which was successful. For Wayne Griffith, the battle has been slightly different. Griffith saw a dermatologist after finding a mole on his back had grown in size and changed colors. Doctors were able to remove the mole, but gave Griffith some unexpected news. "It had irregular border, it changed colors and it was a large mole, it was about the size of my thumbnail," Griffith said, "So I didn't think anything of it, and went in and they cut it out, they called and said Melanoma, and that was an eye-opener." Years later Griffith found a lump in his throat, his Melanoma had spread. After years of treatments, surgeries, and medicine, he is finally a skin cancer survivor. Both Stransky and Griffith, however, urge those who may be running around outside in the sun to not only cover up and use some sunscreen but also get screened for the disease. Even though it's a small process, Dr. Clara Curiel, a dermatology professor at the University of Arizona, says getting screened can make all the difference. "Get to know your skin, if you have something that is behaving differently than the rest of the moles you have or you have something that is already on the rest of your skin, this is when you need to start looking for some kind of medical evaluation," Curiel said. 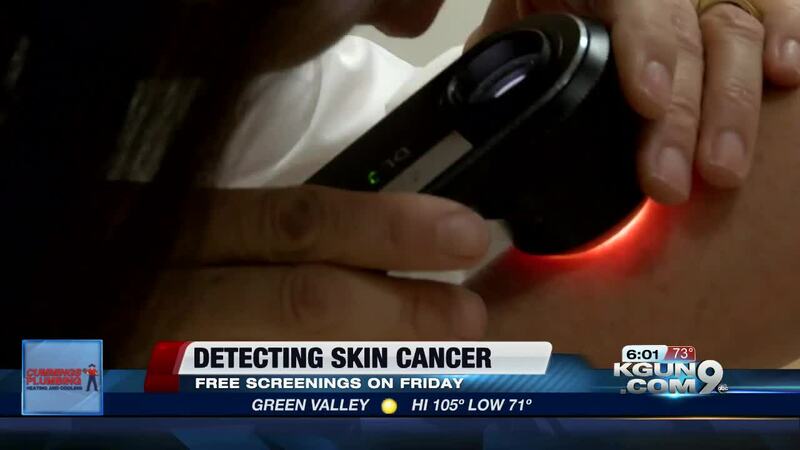 To detect the disease in people as soon as possible, Dermatology and Plastic Surgery of Arizona will be conducting free skin cancer screenings on Friday, June 22. 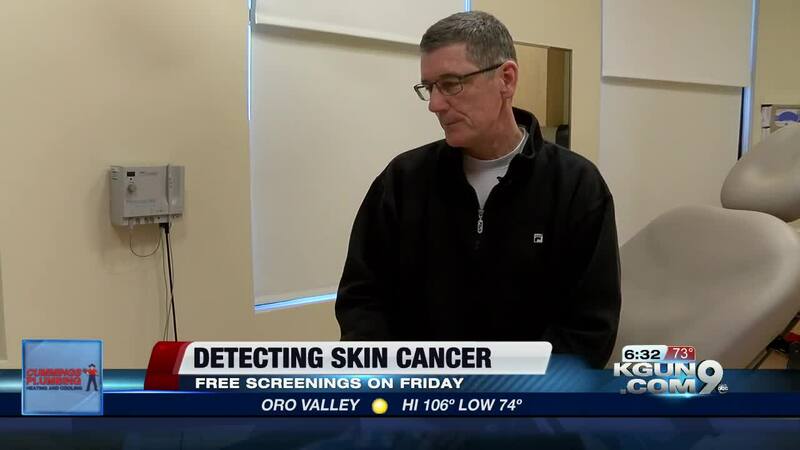 The screenings will begin at 8 a.m. and go until noon at the dermatology office located at 698 E. Wetmore Rd. Anyone that would like to receive a free screening does have to make an appointment to do so by calling the following number (520) 207 3100.